“I have been so lucky to have crossed paths with Cinderella, an icon who is so emblematic to the shoe world as well as the dream world” - Christian Louboutin. 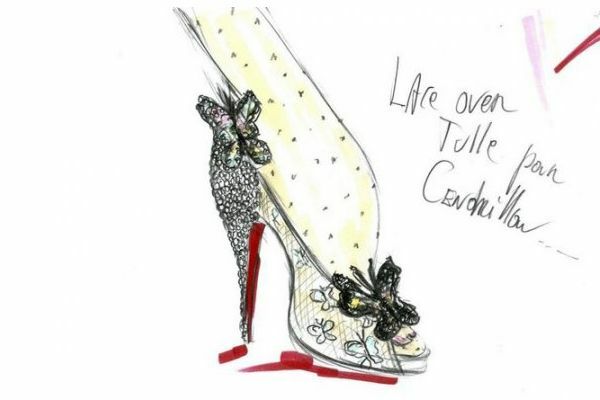 We might have been aware that Louboutin will be designing his own red-soled version of Cinderella’s iconic glass slipper to commemorate the upcoming release of the Blu-ray Diamond Edition of the animated fairytale classic. The shoes were finally revealed on Wednesday in Paris during Couture Fashion Week at a soiree at the Palais Brongniart and presented alongside images from the making of the original 1950 Disney animated film. Anyway, here's how it works. The designer will act as Prince Charming, anointing fans with a free pair of the shoes of which only 20 will be made in total. 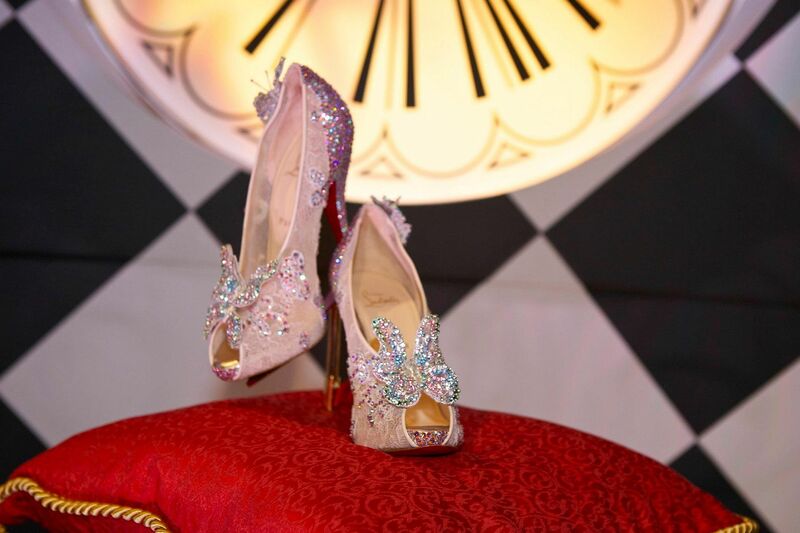 Disney and Louboutin will announce more information on the shoe giveaway Aug. 17. No amount of money can buy them, though - they will not be produced for mass sale. A 10 minute short, titled The Magic of the Glass Slipper: A Cinderella Story, will be featured as a bonus on the Cinderella Blu-ray (Diamond ed.) with Mr. Louboutin making a cameo appearance. And yes, the glass slipper is not actually glass, instead, Louboutin used lace to give the illusion of transparency as he explains the slight difficulties of creating a literal glass slipper “You imagine it being completely transparent, (made) out of glass, [but] full and classical transparency made into a shoe makes a really ugly foot.” He also explained that using clear plastics “could look very ’60s or sort of punky.” The shoe was then adorned with butterflies and Swarovski crystals, making it perfect for a fairytale moment. Images courtesy of Louboutin and Disney. ah they are so stunning! quite different from my imagination but it is so much better! Is Call Me Maybe our fashion song of the year?